Kingdom of God and the First Resurrection - Will You Be There? Be resurrected in the first resurrection. Be resurrected in the second resurrection. Or Will Your Attitude Leave You In The Second Resurrection? For those with an interest in end-time prophecy, note that all prophecies happen in "threes." More end-time information can be found here. For those who do not believe in the Bible, its relevancy, its divine inspiration, or think that the Bible is in error, or that there are other books of equal value inspired of God, I encourage the reader to read the article, A Major Proof of the Bible, and also the book, Restoring the Original Bible, which you can read online in it's entirety. This article and book prove that the Bible is the only inspired word of God. Of course, actually reading the Bible cover to cover is highly recommended and enlightening. It is, after all, the most popular book in the world. And it is the way in which God has chosen to communicate with us. 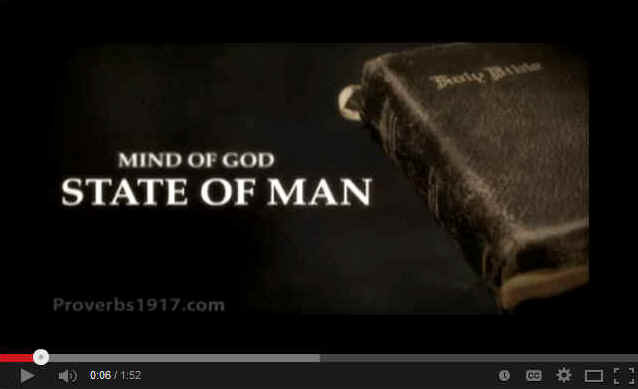 Watch the Mind of God video below, narrated by Morgan Freeman. It could change your life. The Bible mentions the "kingdom of God" 69 times and the "kingdom of heaven" 32 times, making the subject a significant part of scripture that most Christians do not properly understand. Both names are used to describe the same entity. The kingdom of heaven will come to earth upon the second coming of Christ and will then be known as the kingdom of God. While this article is well researched and documented, it certainly is not the final word on the subject. Much more research needs to be done to do the subject justice. There are many links at the bottom of the page of other authors who have also written excellent articles of a similar or contributing nature. Please be sure to click on all of the colored hyperlinked text to obtain a full understanding of the subject. This article has been considerably shortened by the usage of hyperlinks, eliminating the need to reproduce other supporting articles (to provide a more accurate and clearer explanation to the reader). 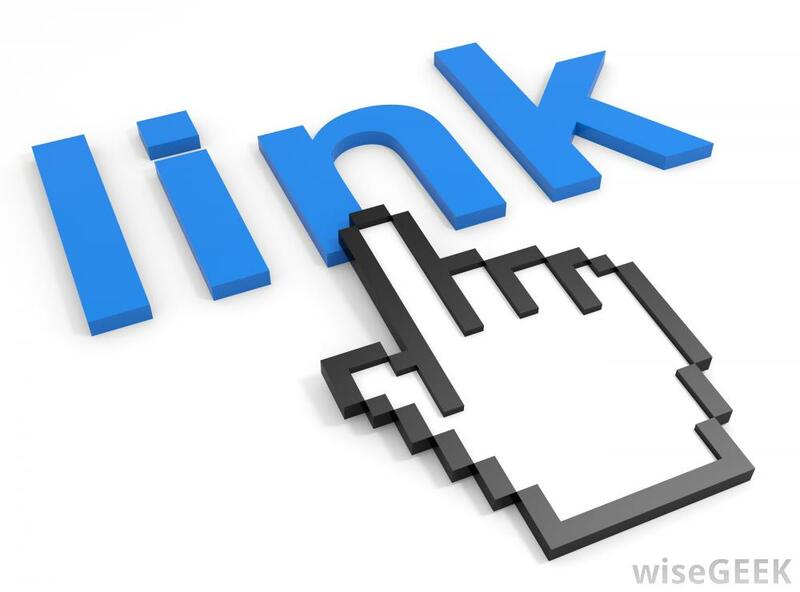 This hyperlink principle is similar in function to that of Christ speaking in parables, then (at a later time) explaining the full meaning of his message to those who were truly interested. 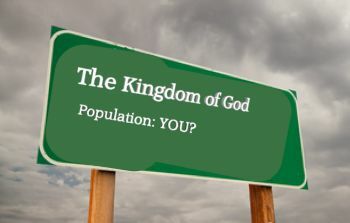 Which Will Be In The Kingdom of God? 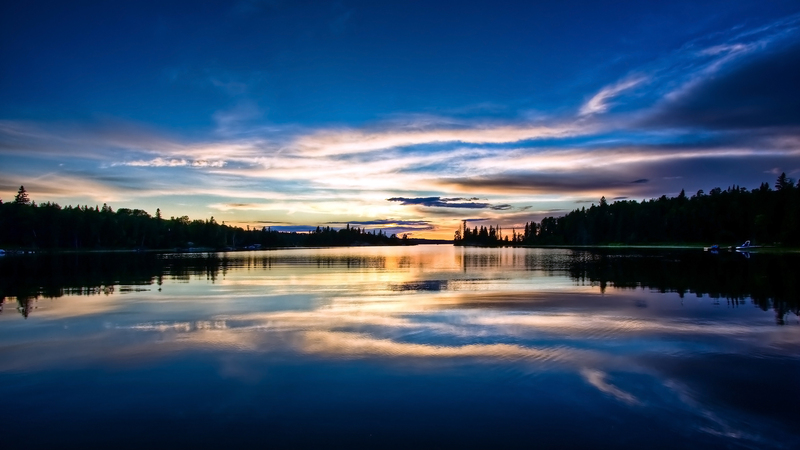 For this article, we are defining the soul as the combination of the spirit and the body. This is a controversial subject and is the sole opinion of the author of this article. More information can be found here. If God is not a trinity, why would man be one? The spirit is who we really are — our thoughts, memories and character. While we are initially resurrected into our former bodies, in the twinkling of a eye, we are then transformed into our previos physical body, and then into spirit beings — for those selected to be in the kingdom of God. The body is our temporary container to live out our earthly lives. It returns to the dust from which it came, upon our death. Contrary to popular belief, our brain is not a computer and our memories are not stored there. Tyranny of the Bible — Is God talking to us? Preterism or Futurism — Which is correct? Does prophecy repeat itself in three cycles? They will have to wait much later until the dispensation of the fullness of times (Ephesians 1:10) before they will be resurrected to attain the salvation that God has granted to us through His grace. The time for the Kingdom of Christ and of God is the Millennium period—the one thousand-year rule of Christ. The apostle Paul said that the rule of the kingdom would last even beyond the period of the Great White Throne. It will conclude at the end of the dispensation of the fullness of time when Christ conquers the last enemy “death.” This is when the final resurrection of the dead takes place and there are no more individuals remaining in the “death-state.” This is the resurrection at the end [in Greek: the telos] when even death itself is destroyed. At that time Christ will hand all rule back to the Father. This is when the kingdom (that He governs on God’s behalf) will end. The apostle Paul made it clear that those who repudiate the doctrine of God’s grace, and treat it with disdain or in a frivolous manner, will not be resurrected with such attitudes or given the reward of the kingdom phase of history. This will be the most majestic period that mankind will ever witness. It would be a great calamity to each person who misses the Kingdom of God. In fact, if a person sins willingly after having come to the knowledge of the truth on what grace really means, and begins to treat it with disrespect and dishonor, sore consequences can come to the person in this life and he or she in the future will not experience the Kingdom! Mankind is warned to practice the principles of right living, which after all is only a reasonable requirement for the happiness and well being of civilized man. But for those who persist in wrong living, the Book of Hebrews has some strong words to say to them. And God can chastise severely. Without actively trying to practice right living principles, people can be “cut off" from such rewards as the Kingdom of God. This does not mean, however, that the grace of God would be thwarted and people will not eventually be saved. Before these dire warnings were given in the Book of Hebrews, the author was aware that God “hath perfected FOREVER them that are sanctified” (Hebrews 10:14). Ultimate salvation is something all humanity will experience. That is something that has been secured by Christ for mankind without the works of man (either good or bad) being involved. Yes, everyone will be saved and brought to a full knowledge of the truth of God. True. All humans will finally repent of their sins and wrong attitudes and be forgiven their sins. They will be reconciled to God. This last verse shows a voluntary and willing submission and confession to Jesus Christ to the glory of God. This is true because the apostle Paul showed that such confession is inspired by the actions of the Holy Spirit on such individuals (1 Corinthians 12:3). If one checks every occasion in the Old or New Testaments where the word “to confess” or its cognates are used, it will be seen that it is always placed in a context of persons using their “free will” and with heartfelt contrition. This scripture thus shows that all things in heaven, on earth and under the earth (the angels who are kept in chains in the bowels of the earth) will one day willingly proclaim the Lordship of Christ to the glory of God the Father. This applies to those who count “the blood of the covenant, wherewith he was sanctified, an unholy thing, and hath done despite unto the Spirit of grace” (Hebrews 10:29). This type of sin is called “the blasphemy against the Holy Spirit” that Christ talked about (Matthew 12:31) and referred to by the other apostles (James 5:20; 2 Peter 2:20–21; 1 John 5:16). Yet this sin is not unpardonable in the ultimate sense. It is only “unpardonable” during this present age (up to the Second Advent of Christ) and in the next age to come (when the Kingdom of Christ appears on earth and lasts for the Millennium). That is what Christ taught. Note carefully. This sin is different from ordinary sins because in this case the person who knows better actively and deliberately turns against what he recognizes to be the truth. Such people are doing “despite unto the Spirit of grace.” Unlike we who can have our sins forgiven in this age and when Christ returns to have all our sins forgiven at the judgment when the Kingdom of Christ appears on earth (at the start of the Millennium), these abject sinners who do despite unto the Holy Spirit will not be forgiven in this age, nor during the Millennium. They will not be living during the Millennium to gain forgiveness of sins. Christ did not mean, however, that these vile sinners would never be forgiven sins in all circumstances. They simply will miss out on the blessings of forgiveness in this present age and miss out on seeing the rule of Christ on this earth during the Millennium and the judgment of the Great White Throne. When they are finally resurrected at the beginning of the dispensation of the fullness of times (Ephesians 1:10), they will look back and see what they missed out on as a reward. They (and the spiritual powers in the heavens that have sinned and caused mankind to sin abundantly) will then submit to Christ and confess His Lordship to the glory of God. Recall again the teaching of the apostle Paul on the ultimate harmony to emerge between God and man, and between God and all spiritual powers in the heavens, on earth and under the earth. The proper way, therefore, is to remain faithful to Christ. If people blatantly persist in the practice of evil and abandon all conscience toward evil, such people will suffer great losses. Not only can such people be handed over to Satan the Devil for punishment now, but also they will miss out on experiencing “the world to come.” This is why the apostle Paul was so severe in his writings toward outrageous sinners who persisted in their sins and break off any attempt to repent of them. He said, “Deliver such an one unto Satan for the destruction of the flesh, that the spirit may be saved in the day of the Lord Jesus” (1 Corinthians 5:5). And, “If any man’s work shall be burned, he shall suffer loss: but he himself shall be saved; yet so as by fire” (1 Corinthians 3:15). Eventually they will, much later in the dispensation of the fullness of times (Ephesians 1:10), finally be reconciled to God and be saved. There is not the slightest doubt that all mankind will be saved at that time. God assures this. At this point it is essential to remind ourselves of one major doctrinal fact. The important phrase “Kingdom of God and Christ” is not to be equated solely with the teaching of “salvation.” The “Kingdom of God” is part of a salvation, in the sense of a reward to those brought up from the dead at the first resurrection, but it does not represent the totality of salvation itself. The fullness of salvation is to experience being born into the very family of God and this will happen to all in the dispensation of the fullness of times. To be in the first resurrection means that we will witness and experience the Kingdom of God as well. It is an extra reward that all of us in Christ will receive if we remain faithful and thankful to God for what Jesus Christ has done for us. This is what Paul was endeavoring to experience by being in the “out-resurrection” — the first resurrection that occurs at Christ’s second advent — and this is what he wanted for all the Christians to whom he wrote. In effect, those of us who remain faithful in this age will inherit salvation and the Kingdom of God (the reward) at Christ’s advent. And while all will eventually gain salvation, all will not experience the reward — the Kingdom of God and Christ. It is just that simple! While our salvation is assured, we should always be about our Father’s business and living in a righteous way that contributes to the glory of Christ Jesus. We should always be pleasing Christ and the Father with an upright and proper conduct of life. On the other hand, if we want to live like the world after knowing this wonderful truth of "the Mystery," we can miss out on the Millennial Kingdom phase of salvation (Eph.5:5). But, if God and Christ are delighted with our conduct in this life, they will resurrect us in the first resurrection and let us enjoy the Millennial Kingdom phase of salvation (Revelation 20:4,5), Yet, if we continue to live like the rest of the world, we will be brought to salvation all right, but God will let us inherit it with the rest of the world -- when the world gets their salvation "in Christ" the world obtains their salvation only after the Kingdom phase of a thousand years reign of Christ is over. Paul warned all of us who understand the teaching of "the Mystery": "For this ye know, that no whoremonger, nor covetous man, who is an idolater, hath any inheritance in the kingdom of Christ and of God" (Ephesian 5:5). If we do not please God the Father and Christ Jesus in our earthy lives, they may well consider it appropriate not to grant us our salvation until the thousand year "Kingdom phase" is over. When people read in the New Testament of those who may not make it into their inheritance, it is always speaking about the "Kingdom phase" of salvation, not salvation itself which has been absolutely secured to the human race through the works and efforts of Jesus Christ, our Elder Brother. All men will indeed be saved (I Timothy 2:4), but Paul said mankind will only be granted a salvation "in its own seasons" (I Timothy 2:6, see original Greek). Salvation is awarded at different times, We should want to do good works now in order to please the Father and Christ. If we do, we can have the assurance that we will be in the first resurrection and enjoy along with Abraham, Moses, David, the apostles and others, the "Kingdom phase" of salvation. Let us remember, though all mankind is guaranteed a salvation through the works of Christ, all do not receive it at the same time (I Timothy 2:4-6). We should always be diligent in doing good works. And we should also meet all our human obligations to our families and to our societies that are within the boundaries of moral and ethical principles of fairness that are found within the biblical revelation. Our legal position of presently being on the right hand of the Father, is a position only recognized by the Father and Christ Jesus. Mankind does not look on us as having this august standing as the very children of God. So, all legitimate obligations we have with the rest of mankind should be fulfilled by Christians. For example, if we have a contract to pay a department store money for a product we received from them, we should pay the store precisely and meet all the obligations of the contract. True, any default will not jeopardize our salvation in Christ, but our wrong attitudes could keep us from experiencing the "Kingdom phase" of salvation and we can inherit many ills during this life by our wrongdoing. If "many are called and few are chosen," what is the criteria for us as twenty-first century Christians of the "Information Age" (that separates us from Christians of yesterday)? Is there an underlying characteristic that Christians may have that predisposes a very possible denial of admittance into the kingdom of God? Does one have to qualify? Could that characteristic be attitude? Our attitude towards our fellow man, God, the Bible, and learning (in this easy Information Age)? A "child-like" attitude? If a negative attitude is the sin against the holy spirit, as Dr. Martin so aptly points out in his article, could a negative attitude also preclude us from admittance into the kingdom of God? 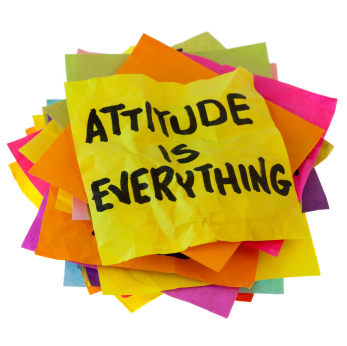 Could attitude be everything? How often do we seek God's will — and His word (as revealed in the Bible?) How often do we search the scripture for the truth about new ideas and concepts. When we are taught something new, what is our attitude about it? Is it one of immediate denial? Or is it one of, "I'm not sure about that, but I am going to properly research it to see if it is of God?" With a good proper attitude, let us now examine some possible evils and sins that just might preclude us from the kingdom of God. While most Christians of today lead rather peaceful lives and know the difference between right and wrong in most matters, there are still some evils and sins they may be practicing that they may not even be aware of. 1. The evil of murder. While most Christians behave themselves on a personal level and certainly don't consider themselves criminals, they ironically condone a certain form of murder. 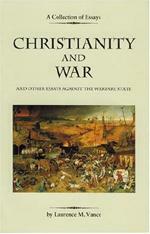 They have no problem in mentally, physically or spiritually supporting the concept of warfare. They surreptitiously support (at least in in their hearts and minds) the U.S. government's (and other similar governments) ongoing wars of attrition, buying into the bogus excuses of protection from "terrorism." Many other Christians still buy into the facade of "fighting for freedom" (such as in the last two world wars, Korea and Vietnam). They refuse to read any books or articles on the subject or to educate themselves and others on the evils of warfare and how these wars are really contrived, managed and financed by the bloodline ruling elite that God allows to rule the world under Satan. They buy right into the propaganda promoted by our rulers and fall for the government's historic false flag operations. Worse, they defer to the Old Testament or out-of-context New Testament scriptures as their biblical validation. The concept that warfare is a Satanic ploy to eliminate the male species is never entertained. If we cannot discern this evil and sin now, will we have to learn it in the second resurrection? 2. Matthew 25:31–40. On August 24, 2006, on a Christian forum, I asked a question, "Do we believe in Matt. 25?" The question generated 444 views and 13 replies. Many years later, the topic was reintroduced on another forum, with additional responses. Out of all of the responses from both postings, only one person would admit to fulfilling this scripture. All the other responses were a complete copout on why they didn't need to fulfill Christ's command. One person amazingly suggested we shouldn't even talk about it, as that would be boasting. I had to shake my head in utter disbelief that such an attitude could prevail among alleged Christians. "When the son of man shall come in his glory, and all the holy angels with him, then shall he sit upon the throne of his glory. And before him shall be gathered all nations: and he shall separate them one from another, as a shepherd divideth his sheep from the goats... then shall the King say unto them on the right hand, Come, ye blessed of my father, inherit the Kingdom prepared for you from the foundation of the world: for I was an hungered, and ye gave me meat: I was thirsty and ye gave me drink: I was a stranger, and ye took me in: Naked and ye clothed me: I was in prison and ye came unto me." Christ went on to say that the righteous might be puzzled over this, because none of them ever gave Christ these things personally. But Christ went on to say: If you have "done it unto one of the least of these my brethren, YE HAVE DONE IT UNTO ME" (Matthew 25:40). There we have it! This is the assured manner to give something to Christ. If you help out the unfortunate brother in Christ, you have given something directly to Christ, "Ye have done it unto me." What Jesus is speaking of is what we today call "Christian charity." The problem is that most Christians don't practice it. Most are deluded into thinking that all of mankind's needs are already met through government sponsored programs of one sort or another. Little do they know or care that these programs do not address all of mankind's needs. Those that are "retired" and have the most time to contribute and help (and often have the most financial resources to contribute) seem to be the least concerned. Living "the good life" seems to be their preoccupation. 3. Health — and the lack thereof. It is truly amazing that most Christians have absolutely no concept of good health. They buy right into the evil/satanic/allopathic/medicine/drug culture (pharmakeia) that prevails in our society today — and which was also in existence at the time of Christ. While healing the sick was one of the miracles performed by Christ, most Christians continue to blindly destroy their very own bodies — and those of their precious children. Drugs and vaccinations are almost never questioned, despite the large amount of evidence as to their ineffectiveness and dangers. New mandatory government requirements in Australia and in three states in the U.S. now require that all children be vaccinated. This is a subtle form of genocide that has gone unrecognized by both the Christian community and the world as a whole. Because God’s Holy Spirit is resident within us, our bodies are considered the temple of God. Is this the way we show respect for God's temple? Is this the way we set an example for the world? By putting poisons in our body — and our children's bodies? By eating the improper acidic foods that cause us to get sick — and refusing to eat the biblical foods found in the Garden of Eden? By refusing to take the wonderful supplements God has graced us with to help keep us full of energy and free from sickness? Again, if we cannot discern evil and sin in this lifetime, will we have to learn of it in the second resurrection? 4. Imprisonment — and the lack of concern for our fellow human beings. Most Christians would be shocked to learn that our entire American judicial/law enforcement/prison system has morphed into what I call The American Gulag System, a duplicate of the old Soviet Stalinist gulag system. Fair justice is rarely delivered. Starting with the wrongfully convicted, we have 20% of the prison population serving time for crimes they did not commit. Then we have unjust punishments for many people who serve harsh sentences way out of proportion to the crimes committed. Half of all prisoners are in for drug related offenses. And half of them are non-violent. Locking these people up has done little to curtail the drug problem. Ironically, the "legitimate" drug industry continues to operate unscathed, producing toxic drugs that maim and kill people on a daily basis, all prescribed by our friendly doctors. Then we have prison conditions, which for many is simple slavery in a prison industry where they have to work for pennies on the dollar — and putting people on the "outside" out of work. Medical services and healthy food are scarce and/or of poor quality, often resulting in a long term death sentence. The list of dehumanizing conditions is endless. The concept of rehabilitation was done away with decades ago, except in Europe, where many prisons are being shut down due to their rehabilitation success. They actually treat prisoners like human beings, rather than caged animals like we do in the U.S.A.
And what did Jesus have to say about those in prison? He said, "...I was in prison, and ye came unto me." Matthew 25:36. When was the last time you visited someone in prison? When was the last time you offered to help someone who is wrongfully convicted? Can you even imagine what it is like to be imprisoned? Do you even care? Will compassion and concern for others have to be learned in the second resurrection? Where Does Attitude Really Come From? Attitude comes from "desire." Desire to do what God says to do. Desire to please God. The Bible has many scriptures on the subject of desire. How badly do you want to do God's will? Is It a Lottery — or a Reward? The practice of these four evils and sins would appear, in my mind, to cast doubt on one's qualification for the kingdom of God or the first resurrection. All four of these evils and sins have one thing in common; they deal with the very essence of life itself — and the expansion of the family of God. They deal with how we (and/or others) will live or die in this lifetime. If we cannot understand these basic concepts now (through biblical and non-biblical education, life experiences and guided by the Holy Spirit), then when will we learn them? Worse, these evils and sins represent an unloving, unrepentant attitude. Attitude is key to obtaining admittance into the kingdom of God. Those who we know (through scripture) that will be in the kingdom of God all had one thing in common; they all had the right attitude! The main advantage that twenty-first century Christians have over those who have gone before us is the vast amount of knowledge available to us. 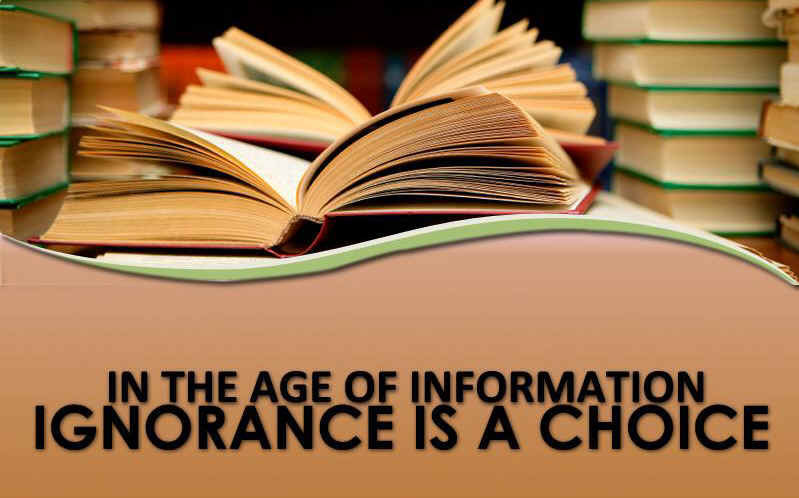 We live in what is termed the "Information Age." We have more information available at our fingertips than most people in previous eras had in a lifetime. Yet, how many of us make use of this information? How many people study the many research documents on the ASK site, this site and countless other sites? In my opinion, very few. So what did those who have gone ahead of us do that guarantees their admittance into the kingdom of God? God spoke; and they listened. They had the right attitude. Then, they put their knowledge into action. Based on that understanding, it is my personal belief that the decision for selection to be in the kingdom of God in the first resurrection (for our present Information Age generation) will be based on these same two factors (attitude and action); and not based solely on the more obvious and grievous sins listed in the Bible (and discussed previously in this article). It's all about attitude and taking action. Our attitude will determine one's teachability. That is, our ability to learn basic concepts when presented to us, either through the Bible, other educational teaching, or through life experiences. It will not be a matter of simple scriptural enlightenment through God's lottery system alone. If we are to be leaders, teachers, rulers, etc., then we must have the mindset to learn the lessons that those positions require. We must be teachable. Amazingly, only half of the people reading this article even anticipate being in the kingdom of God. Our action will also be based on how we have put God and Christ first in our lives — and what "They" are doing with our lives (because we have asked Them for Their help). This action is manifested in our daily lives through repentance, and described in the Bible as the fruits of the Holy Spirit (Galatians 5:22,23). And that, in turn, would be manifested in many different ways, such as by fulfilling Matthew 25:31-40. As the old adage goes, "Actions speak louder than words." It is not something we can do by ourselves, but is something God and Christ can help us do. This is important to understand. And what will happen if we do not qualify for the kingdom of God? A scriptural reference to the "weeping and gnashing of teeth" is found in Luke 13:28. The term in this scripture implies an extreme emotional response to not being accepted into the kingdom of God (upon being resurrected in the second resurrection instead). Since most professing Christians in our generation will probably not come to a correct understanding of the kingdom of God before their death (refusing to change and adhering instead to the false doctrine of going to heaven), they could hardly be expected to generate such an extreme emotional response upon their eventual discovery of their non-acceptance into the kingdom of God (when they are eventually resurrected in the second resurrection). These scriptures are obviously directed to those whom God has enlightened (either now, in the past or in the future) — and who thought that they would be included in the kingdom of God. What happens when one makes a conscious decision to live a life that will merit consideration into the kingdom of God? One begins to think like God. One begins to look at life and our fellow human beings as God does. One desires to improve himself and aspire to the highest rung of our abilities. One begins to imagine that they are already there in the kingdom, learning even more and sharing our God-given talents as God inspires us. And, one becomes truly happy. In reality, we are letting God "work through us." One also makes a positive affirmation to achieve this noble goal. Most Christians are not taught this principle. By thinking positive thoughts and saying positive words, we can subconsciously affect all of our life goals and beliefs. Activities as simple as taking the survey at the top of the page, by "Liking" our two Facebook pages, or making a post on our Forum can go a long way to not only helping us to affirm and achieve our goal, but also to inspire others to achieve that same goal. It is a win-win situation that God will be watching. Finally, one becomes inspired to preach the kingdom of God, as Jesus did and as He instructed His followers to do. We each can do this in our own unique way. Paul said, "...you ought to be teachers." Read Christian in Name Only. Check out how you can personally preach the gospel of the kingdom of God through Facebook. This is truly our highest calling in life. It is our "ultimate reward!" It is my hope that this article will help inspire an understanding that results in changes to the lives of today's Christians — and that all of today's Christians might eventually be considered for the kingdom of God and the first resurrection! The kingdom of God (aka, the kingdom of heaven) is a specific entity that will commence at the first resurrection and the second coming of Christ. Those who are chosen to participate in it (as teachers and rulers) will reign with Christ for 1,000 years over the rest of mankind. their attitude towards God, the Bible and learning. their life of charity, teaching, sacrifice, success, etc. their character record based on the biblical fruits of the spirit. their love of God's word as revealed in the Bible. their teachability, as revealed in their lifetime track record of seeking out, grasping and implementing new knowledge and concepts, both biblical and non-biblical. Check out additional ASK articles on the kingdom of God and the first resurrection. Read about God's blinding of our eyes and hardening of our hearts. Looking for an ekklesia that teaches the kingdom of God? Biblical examples to preach the "kingdom of heaven"
Can You Preach the Gospel of the KOG for 5 Cents? The Bible mentions the "kingdom of God" 69 times. Biblical examples to preach the "kingdom of God"